Dialogue obtained through two mediums that served as interpreters to these spirits, in the session of the Society on March 18th, 1859. 1. What is your situation as a spirit? - Errant, but regretful. 2. What do you do as a spirit? - I tear off the veil of error that I thought was the light of truth when alive. 3. What do you think about your writings in general? - My spirit was dominated by pride for I had the mission of giving an impulse to a people in their infancy. My books are a consequence of this. 4. What can you say particularly about your Joan of Arc? - It is a diatribe. I did worse things. 5. When alive, what were your thoughts about life after death? - Come on, you know well that I only believed in matter; and it dies. 6. Were you an atheist in the true meaning of the word? - I was proud; I denied the Divinity from pride, which made me suffer and for which I regret. 7. Would you like to talk to Frederic, who has also kindly accepted our evocation? Such a conversation would be instructive to us. - If Frederic wishes, I am at your service. Voltaire – My dear monarch, as you see I acknowledge my mistakes and I am far from speaking as I did in my books. Formerly we gave the spectacles of our turpitude; now we are obliged to give that of our regret and our desire to get to know the great and pure truth. Frederic – I supposed you were less good than you really are. Voltaire – A power that we are obliged to adore and acknowledge in its whole sovereignty, forcing our soul to proclaim, perhaps to those abused by us, a completely opposite doctrine from the one that we professed. Frederic – It is true, my dear Arouet, but let us pretend no more. All veils have fallen. Voltaire – We left so many disasters behind us that many tears will be needed for our pardon and acquittal. We can never be united enough in order to erase and repair the harm we have caused. Frederic – We must consider also that the century that praised us was very poor in its judgment and that just a little is needed to fascinate people. It was nothing more than some audacity. Voltaire – How come? We made a lot of noise in our century! Frederic – It was that noise that has suddenly fallen into complete silence and threw us into the bitter reflection, almost regret. I deplore my life but how bored I am for no longer being Frederic! So do you for not being Mr. Voltaire any longer. Voltaire – Then speak for yourself Majesty. Frederic – Yes, I suffer; but don’t say that again. Voltaire – You have abdicated then! You will later do as I did. Voltaire – You asked me to be your guide and I will still do that. I will only make sure that you don’t get negatively influenced in the future. If you can read find here what can be useful to you. It is not the Highnesses who question you but spirits who seek and find the truth with the help of God. Frederic – Take me by the hand then; design a line of conduct, if you can… let us wait… but it will be for you… As for myself I am very perturbed and this has lasted a century already. Voltaire – You still incite in me the desire to be proud of being better than yourself. This is not generous. Become good and humble so that I can become humble as well. Frederic – Yes but the hallmark left in my heart by my Majesty always impedes me from humiliating myself as you can do. My heart is tough like a rock, arid like the desert, dry like sand. Voltaire – Are you a poet then? I did not know that was a skill of yours, Sir! Frederic – You pretend… you… I ask only one thing from God: to forget the past… an incarnation of trial and work. Voltaire – It is better. I am with you but I feel that I will have to wait for a long time for my remission and forgiveness. Frederic – Well my friend; let us then pray together once. Voltaire – I always do that since God decided to take away my veil of flesh. Frederic – What do you think about these men who call us here? Voltaire – They can judge us and we can only humble ourselves before them. Frederic – They bother me. Their ideas are very strange. 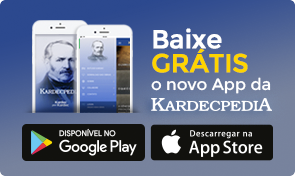 (Question to Frederic) – What is your opinion about Spiritism? - You are wiser than we are. Don’t you live in a century after ours? Although we are in heavens since then, we have just got there. - We thank you for attending our appeal as well as your friend Voltaire. Voltaire – We will return whenever you want. Frederic – Don’t evoke me many times… I am not as sympathetic to this. - Why aren’t you sympathetic? - I disdain and find myself contemptuous. (Evocation of Voltaire) - Speak. 1. What do you think about Frederic, now that he is no longer here? - He rationalizes very well but he did not want to explain himself. As he told you, he disdains, and such disdain for everybody blocks him from opening up, afraid of not being understood. 2. Then can you kindly cover for him, telling us what he understands by “I disdain and find myself contemptuous”? - Yes. He feels weak and corrupted, as all of us; perhaps he understands even better than we do since he has abused, more than the others, the gifts of God. 3. How do you see him as a Monarch? - Skillful. 4. Do you consider him a righteous man? - You should not ask that. Don’t you know his actions? 5. Could you give us a more precise idea about your occupations as a spirit? - No. At every moment of my life I discover the goodness under another point of view and I try to practice it, or at least, to learn to practice it. When someone had an existence like mine there are many prejudices to combat, many thoughts to repel or change completely, before the truth is reached. 6. We wish you could write a dissertation about a subject of your choice. Could you do that? - About Christ, if you want. 7. In this session? - Later. Wait for another session. 1. (Evocation of Voltaire) - I am here. 2. Could you kindly write the dissertation that you promised? - I can do what I promised, however, I will be brief. My dear friends! When I was among your parents I had opinions and to sustain them, making them prevail among the contemporary, I many times simulated a conviction that I did not have. That is how, on trying to attack the defects and vices of religion, I sustained a thesis that I am now condemned to refute. I attacked many pure and saint things that should have been respected by my profane hand. That is how I attacked Christ himself, this model of superhuman virtues. Yes, poor people! We will show perhaps some similarity to our model but will never have the dedication and holiness that he demonstrated to us. He will always be above us for he was better before us. We were still immersed in vice and corruption and he was already seated on the right hand side of God. Here, before you, I retract from everything I have done with my pen against Christ, for I love him, yes I do love him. I regret for not had been able to do it yet.